People invest in other people. It is our mission to ‘meet’ the innovators and share the story behind the technology to drive the right partnerships and ultimately accelerate medical device innovation. Discover 11 emerging medtech companies and the passionate Founders and CEOs behind the technology in Season 1 of ‘Meet the Innovators’. MedTech Strategist is proud to partner with MedTech Innovator, the premier nonprofit start-up accelerator in the medical technology industry. The program took place during MedTech Strategist’s Innovation Summit Dublin, Ireland, a global medical device investment and partnering conference. “CroíValve Takes on the (No Longer) Forgotten Valve.” Dublin-based start-up CroíValve is well on its way to making a significant impact on the emerging tricuspid valve repair market, with a 1st-place win at the MedTech Innovator Pitch Competition that took place at MedTech Strategist’s Innovation Summit global medical device investment and networking conference in Dublin, Ireland. In this candid interview onsite in Dublin, Ireland, CEO Lucy O’Keeffe talks about her inspiration and early experiences in co-founding the company, her current priorities, and the surprises and lessons she has learned so far in her start-up journey. Visit www.croivalve.com to learn more about the technology. “mOm’s Mission to Save Premature Babies.” London-based start-up mOm Incubators is looking to make its mark on the global neonatal market with a low-cost, inflatable infant incubator designed to decrease the number of premature child deaths. In this candid interview filmed onsite at MedTech Strategist’s Innovation Summit Dublin, Ireland with Co-founder and CEO James Roberts talks about his inspiration and early experiences in founding the company, his current priorities, and the lessons he has learned so far in his start-up journey. Visit www.momincubators.com to learn more. “One Man’s Trash is Another Man’s Treasure: How NASA Inadvertently Helped Launch Modius Health.” Neurovalens is an independent “careable technology” company whose Modius Health platform uses neuroscience with the goal of solving the mega-problems of obesity, diabetes, epilepsy, migraine, arthritis, anxiety, depression, and if that's not enough, even long-term space travel. In this candid interview onsite in Dublin, Ireland, CEO Jason McKeown talks about his inspiration and early experiences in co-founding the company, his current priorities, and the surprises and lessons he has learned so far in his start-up journey. Visit www.modiushealth.com to learn more. “It Takes A Village: How AblaCare is Building a Solution to Infertility.” Paris-based start-up AblaCare is developing an innovative device and minimally-invasive procedure for the treatment of Polycystic Ovary Syndrome (PCOS) related infertility which they believe would be less risky, less invasive, and less costly than current solutions. 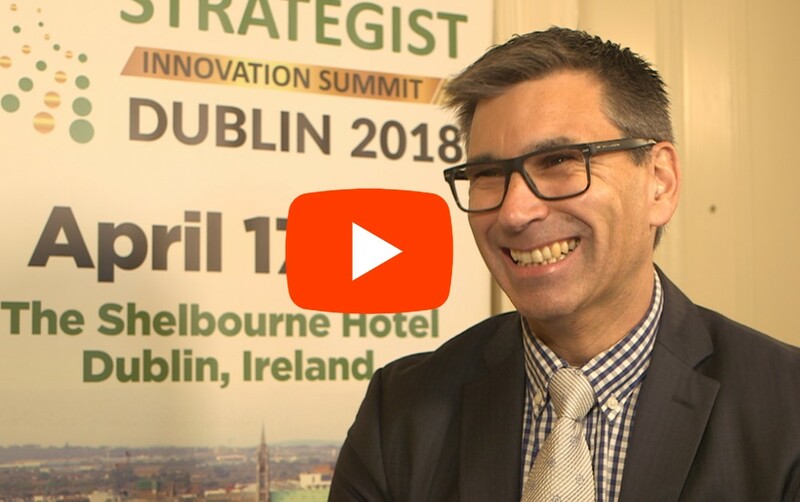 In this candid interview filmed onsite at MedTech Strategist’s Innovation Summit Dublin, Ireland, CEO Anne Osdoit and COO Marion Gasperment talk about their current priorities and their experiences so far on their start-up journey. Visit www.ablacare.com to learn more. “Sealing the Deal with Lung Biopsies.” Dublin-based start-up, Selio Medical is developing a novel technology to prevent pneumothorax, a common, costly, and sometimes deadly complication of lung biopsy impacting one in three patients. 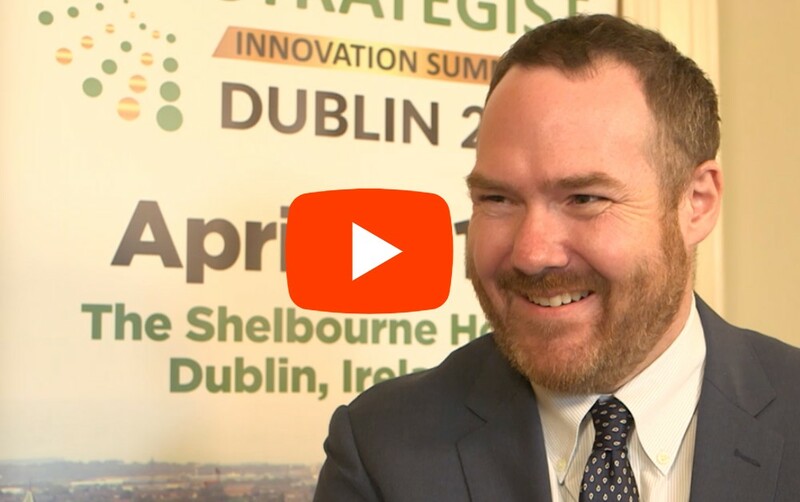 In this candid interview filmed onsite at MedTech Strategist’s Innovation Summit Dublin, Ireland, Co-founder & CEO Colm McGarvey talks about his inspiration and early experiences in founding the company, his current priorities, the lessons he has learned, and what’s next for Selio Medical. Visit www.seliomedical.com to learn more. “DynamX’s Beeline to Bedside Biopsy Triage.” London-based oncology diagnostics start-up DynamX Medical is developing a point-of-care (POC) biopsy triaging and stratification system, called Solas. Solas is estimated to reduce the total number of samples within pathology by approximately 50%, alleviating current system stress. In this candid interview, co-Founder & CEO Dr. Liberty Foreman talks about her inspiration and early experiences in founding the company, her current priorities, and what’s next for DynamX Medical. Visit www.dynamxmedical.com to learn more. “From Railroads to Robots: The Story Behind Deneb Medical.” Spain-based start-up Deneb Medical is developing a surgical robot for selective tissue ablation called CoBot, which the Co-founders believe will directly reduce the risk of unintended damage to critical anatomical structures. In this candid interview, the Co-founders talk about their inspiration and early experiences in founding the company, their current priorities, and what’s next. Visit www.denebmedical.com to learn more. “Conavi Medical: Completing the Picture for Intravascular Imaging.” Toronto-based medical device company Conavi Medical is developing image guidance technologies for use in minimally invasive cardiovascular procedures and is on a mission “to make procedures that are established or emerging safer, faster, and with better outcomes.” In this interview, Brian talks about his inspiration and early experiences in founding the company, his current priorities, and what’s next. Visit www.conavi.com. “Briteseed’s Burgeoning Smart Surgical Tools Stop Unsafe Bleeding.” Chicago-based Briteseed LLC is developing the next generation of smart surgical tools that can provide visual, anatomical information to surgeons in real-time. In addition to improving patient outcomes, Jonathan believes Briteseed could offer significant cost savings for payors and providers impacted by non-reimbursable costs. In this interview, CEO Jonathan Gunn talks about his early inspiration, his experiences in co-founding the company, and what’s next for Briteseed. Visit briteseed.com to learn more. “Day Zero Diagnostics: Modernizing Infectious Disease Diagnosis.” Boston-based start-up Day Zero Diagnostics is developing a sequencing-based rapid diagnostic that identifies both the species and the antibiotic resistance profile of a bacterial pathogen in only hours, not days, which for patients could mean the difference between life or death. In this interview, CEO and Co-founder Jong Lee, MBA talks about his early inspiration and his experiences in co-founding the company, his current priorities, and what’s next for Day Zero Diagnostics. Please visit dayzerodiagnostics.com to learn more. “FineHeart: A Disruptively Simple Solution for Advanced Heart Failure” France-based FineHeart SA aims to make an impact on the second leading cause of death in the US and in Europe: heart failure (HF) with its first patented product ICOMS. The ICOMS is a hybrid system composed of a pulsatile smart pump, an electrical synchronization module, a control board, and an energy module powered by a TET system. In this interview, CEO Arnaud Mascarell talks about his early inspiration, his experiences in co-founding the company and what’s next for FineHeart. Visit www.fineheart.fr to learn more. Thank you to MedTech Innovator, for your support and all you’re doing to accelerate medical device innovation. MedTech Innovator is the industry’s nonprofit global competition and accelerator for medical device, digital health and diagnostic companies. Our mission is to improve the lives of patients by accelerating the growth of companies that are transforming the healthcare system. Visit www.medtechinnovator.org to learn more about the MedTech Innovator Accelerator and Venture competition. Our sincere appreciation to each of the below contributors of the ‘Meet the Innovator’ interview series. Your dedication, guidance, and support has helped make the series a success! Thank you to Chandula Perera - Video Editor; Kate Olson - Intro/Outro Music; and AVCOM - Season 1 Production Crew. Special thanks to Jonathan McEvoy, Creative Director, AVCOM for developing the intro for ‘Meet the Innovators’ and for his significant help in making Season One a success.